Hello all. Thank you so much for stopping by Mrs. Lincoln's Inkin' to check out today's card share. 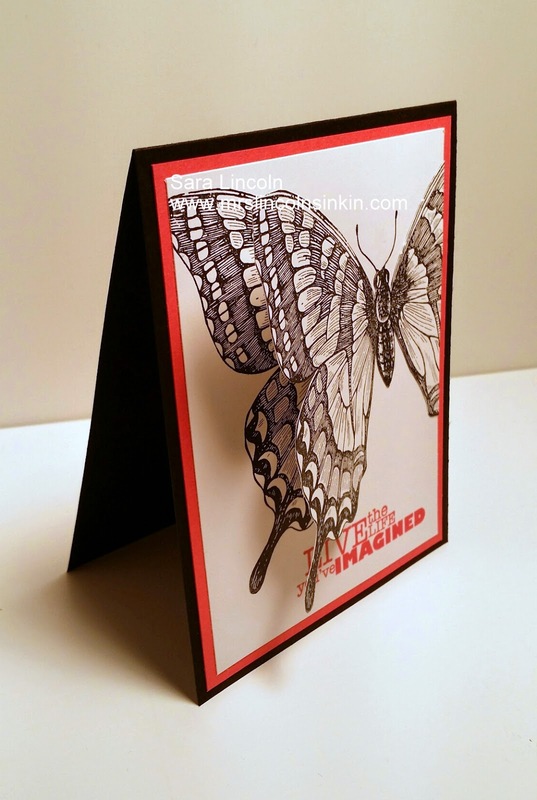 Today's share is of this awesome and simple 3D card using the large Swallowtail background stamp. 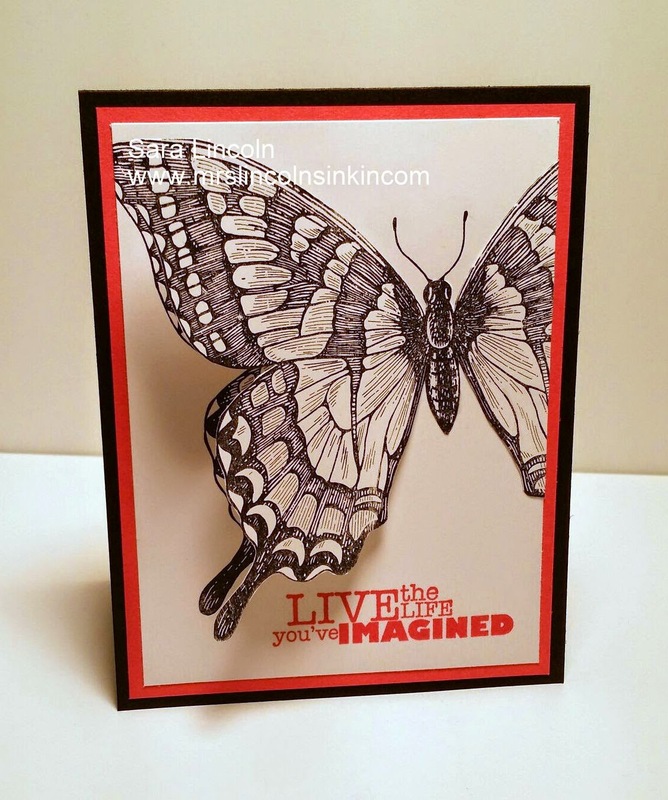 This stamp is NOT on the retiring list and I am super excited, lol:) I really wanted this card to POP and have the butterfly be the vocal piece more of just being on the paper. Therefore, I stamped once on my Whisper White and then on a scrap piece of Whisper White and cut that out. I puffed the second image up on the paper so that the wing would stick up! Love how it turned out!! I wanted to still bring some Summer color into the card being that it is basically a black and white card so i grabbed my ever-so-loved Strawberry Slush and used the card stock to back my butterfly. I also used it to ink my greeting from the Really Good Greeting stamp set, which is sad to say is on the retiring list. It is the item that I am showcasing today. This set has some great greetings. But, there are tons of awesome new sets in the new catalog that I just can't wait to show you. Since the awesome man in the brown truck made a visit to my house (UPS man, lol) I have been busy using the new products that us as demonstrators got to pre-order. So I will have some sneak peek's coming for you real soon! !